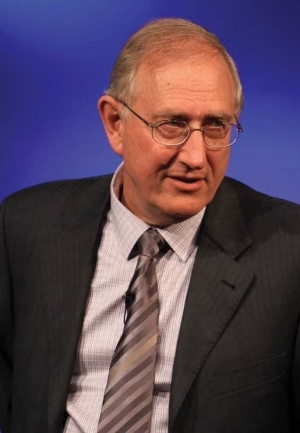 Summary: Final part of the interview with Walter Veith on Islam. This article is part of a series. We recommend that you first read: Winter 2015: An Interview about Islam with Walter Veith Part 1 of 2. 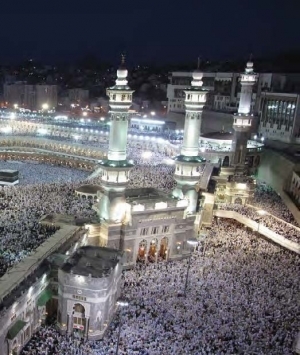 Q: Islam has only surfaced since the 7th century but nevertheless, they have more than 1.6 Billion followers, which makes Islam the 2nd largest religion after Christianity. How can we explain that explosive growth? I personally think that the Great Controversy in the whole world is directed against Jesus Christ. And any religion that denies Jesus either directly or indirectly becomes the religion of the masses. And any religion that uplifts Jesus Christ and puts Him in the center of the plan of salvation. But that type of religion always has and will be in the minority. Already at the time of the Reformation, Martin Luther and his theologians said: Islam is quite obviously the enemy of Christendom. It persecutes Christians and Jesus Christ openly. The Pope is the hidden enemy, who in the name of Christ lowers Christ, replacing and setting Him aside with the saints and priests and sacraments and so on. And what is left? The Protestant world. But they are so confused through ecumenism and all that goes along with that, that there is hardly any left who truly understand the Jesus of the Bible in a Biblical sense. And the Bible agrees, asking: When He comes will He find faith on the earth? Not much that’s for sure. Q: The Qu'ran is originally written in Arabic. Was it not true that the Koran was not allowed to be translated into other languages? The Qu'ran is actually allowed to exist only in Arabic. Translations are not permitted. (Nevertheless there are translations in several different languages.) The Muslims are proud that they have only one Prophet and one book and because of that it has to be the true faith. But I have already talked about that before how many historical mistakes it has. I once heard a Moslem speaker say that the Arabic used in the Qu'ran was not really that great grammatically and has many mistakes. But that’s just a side note. On the other hand there are allegations that say that the Bible cannot be inspired because there are so many authors that contradict each other. But it is quite the opposite: Although the Bible has been written over a huge time period, we find that the statements found in it coincide harmoniously with each other. The supposed mistakes are actually vindicating the Bible, and make it more believable. Then we find aspects in the Bible that we don’t find in the Qu'ran, especially historically, where archaeology proves the validity of the Bible. Even if all these historical facts are criticized, the Qu'ran makes no sense at all historically. The Bible, for instance, has Bible prophecy. The Qu'ran not at all. The Qu'ran is basically a compilation of songs and justification of traditions that are wrong, according to the Bible, and usually called sinful habits. But in the Qu'ran they are permitted. So we come to the conclusion that these two books are not really able to be compared. Q: What role does the Qu'ran play if you want to be a good Muslim? Is it important for them to read it and understand the Qu'ran? No. a Muslim just has to sing it, but he has to concentrate basically on the singing itself, not the actual sayings. What's important is how he sings, not what he sings. That’s a huge difference. Then of course the Qu'ran says that if you are performing your daily prayers in the morning, afternoon, and for instance at sunset, in that particular way, and in that particular direction, it keeps listing things… when you are giving offerings, how to do them, how to do good works. And basically at the end of all these performances you get written in the book of Allah. You basically get a brownie point. But that doesn’t necessarily mean that you are saved even if the possibility is quite high. And the ultimate prize or reward is that you will get this awesome bed to lay down on, and then you get served by half naked men. In any case, the Qu'ran practically plays no role in the practical aspect of a Muslim’s life. For the most part, Muslims are actually not that familiar with the Qu'ran themselves. There are still apologists that claim that the Qu'ran brings certain points out, that we cannot find elsewhere. I myself read the Qu'ran, and I mean, word for word. I didn’t find anything. No, truly, nothing that would even in the slightest convince me that it is an inspired book. Because we find the same similar pattern, if you don’t do this and this, you basically end up with the worst kind of curses. At the end it always goes like this: Allah is the merciful, he is forgiving. But in any case, you’re still not quite sure if at the end, you won’t get dragged through hot coals in hell, and your skin basically rots away constantly. But let’s not forget, Allah is the merciful, forgiving God. And then of course we have the topic of women. Really, I cannot truly understand how a Christian can become a Muslim, after he reads the Qu'ran. He might become a Muslim just because of the culture, or because he sees the people take their religion quite seriously, and very diligently participate in it because they want to do the right thing; they want to be obedient. Well if you have ever experienced the excitement and the brotherhood that they offer, and you feel that sense of belonging, then you can rather understand why people join islam. But most definitely not because of its teachings. Q: Is Allah the same God as the Bible, just with a different name? On this point, I had a very interesting experience. We were on a tour in the Middle East, somewhere close to Jerusalem. I was taking pictures for my evangelistic series. All of a sudden a Muslim appeared and walked towards me. And out of the blue he says, “Allah is Yahweh just backwards.” And as he said this, he took a piece of paper out and showed me the name Yahweh in Hebrew and showed me again Allah in arabic. And then he ran off again. I stored it somewhere in the back of my mind, and when I returned back to South Africa, I contacted a friend of mine who is a theologian and I asked him if it was truly that way, that the name Yahweh written backwards pronounces Allah. He responded and said that he never heard of such a thing, and he said he would look into it. A bit later he called me back and said, nope, it isn’t working out. If you write Yahweh in Hebrew and you mirror it, or read it back, it does not say Allah in Arabic. Those kinds of weird things happen to me, isn’t that funny? Some weird Muslim doing his own thing around the marketplace, suddenly runs towards me. He probably saw that we were Christian and probably just wanted to clarify to me that we don’t have that special of a God. That it’s actually Allah also, but it’s kind of hidden. Q: Is that connection known within the Muslim realm? Q: Then it must have been a very special man. Yes. Of course, now you can have another reason for Walter Veith being a conspiracy theorist. But let me tell you, in the esoteric world, Satan is a master of flipping things. Everything is turned upside down. Aleister Crowley, another esoteric, taught his students to read backwards, to walk backwards, and to actually make everything backwards. And that’s why, I think it’s not necessarily unrealistic that somebody in the esoteric world would have thought, “what happens if I just turn this around and read it backwards?” Of course I acknowledge that this is just an idea, not a fact. But it is still interesting. Because if I read the Qu'ran, I see that Allah is basically the opposite of the God of the Bible, and the teachings are all turned around. Q: Some say that the name Allah is connected with the Biblical name Eloah, and others say it is the Arabic moongod Al-ilah. There are many sources that claim that it comes from the moon god, which comes from heathanism. And I don’t see any reason why that couldn’t be the case. Because there are supposedly these satanic verses that we find in the Qu'ran where the prophet allows the worship of heathen goddesses from the traditional heathen religion. To explain that, they claim that Muhammad was overwhelmed by satanic inspiration. That’s why they call it the satanic verses. Q: Do the muslims believe in Satan? Well that’s an interesting story in the Qu'ran. The angels are made out of air, the Djinn from fire, and humans out of clay. From this we find the spiritual elements of earth, wind, and fire. When Allah was creating humans, he ordered the angels and the Djinns to bow down and worship the humans. And because angels have no freedom of choice, they obeyed right away. But the Djinns have freedom of choice, and the leader of the Djinns, the Iblis, or another name for Satan, he did not want to worship and he said that they that were made out of fire, are above humans that were made out of clay. For his disobedience, Allah doomed him forever to hell. Iblis, or Satan, made a deal with Allah, because he asked for permission to still tempt anybody that wants to belong to Allah. And Allah answered and said, “Good, that’s okay with me”, because a Muslim cannot be tempted. Only a non-believer can be tempted. Iblis, or Satan, is the leader of the Djinns, but not all the Djinns were fallen. There are good Djinns and bad Djinns, and if humans desire, they can contact both. That’s of course quite different from the Biblical view, because we don’t find three categories of creatures, but just two--angels and humans. The good angels in the Bible would then represent the angels in Islam with no freedom of choice, and the fallen angels in the Bible are represented by the Djinns. In the Bible we find all the fallen angels are bad. But in the Qu'ran we find some of them are good, and some of them are bad. That’s why we find in so many movies the spirit or genie from the bottle. Interesting yes? Q: Well that sounds like black and white magic to me? Well, yes, in a sense it is white and black magic. And it is all about the understanding of good and evil. And in this system, even the bad can give you good advice. So in that way it is no problem to communicate with these beings, or even to use their powers. Based on the Qu'ran, it is interesting to note that the Djinns even built the temple of Solomon. You know, honestly, I couldn’t really believe the things I read. And some say that would be the same religion as we find in the Bible, as some theologians teach? I was Roman Catholic and I had to go out from it due to the sentence “come out of her, my people.” I couldn’t just say “oh, that’s just a cultural thing to go to mass and to the cathedral and pray to the statues and saints”. I couldn’t say that because my lifestyle is part of the culture, I don’t need to change. No! instead, I have to ‘come out of her’. And so does a Muslim. He has to come out of that. The evangelism of Muslims is no different than the evangelism of Catholics or Buddhists, or whatever. Q: Do we find a universal measure for good and bad in the Qu'ran like we find in the Bible with the 10 Commandments? In principle we can find the ten commandments reflected in the Qu'ran, of course we don’t find it exactly the way it’s described in the Bible, or in the same order. But if you actually read through the whole Qu'ran you will find, in principle, all the commandments, including the Sabbath. But as I said before, the Qu'ran says that the Sabbath was to be kept by the Jews because of disobedience. And of course they were all Muslims, but later on, they twisted the Islamic teachings and they apostatized, that’s why they’re unbelievers. In the Qu'ran, you find “the people of the book” that have the truth, but in Islamic thinking, the people of the book are comprised of Christians that were accepted by Allah. Let’s remember, when Jesus comes, He’ll destroy all those ones that did not accept Allah. It almost sounds like the people of the book are Christian. But if you study the Qu'ran closely, it is those ones that actually see Allah as the true God. And then later on we also find, of course, that the Qu'ran claims that Jesus was actually never crucified. It only looked like it. But in reality there was no crucifixion. But it was allowed so that the Jews would think they crucified Him. So in other words, the justification that Christ gave through His blood is made void. In the foreword of the World translation of the Qu'ran, it basically says, they reject that type of justification, and that there was no shedding of blood. And here, interestingly enough, we find similarities in the teachings of Islam and Catholicism, because in the Catholic Church, they teach that the blood on Golgotha was not really necessary for the salvation of mankind. No blood atonement and Mary worship are all the same system. Q: What can we learn from Moslems? What was your own experience? They are very lovely people. Many of my students were Moslems and always were willing to stand up for me if it came to the topic of Creation/Evolution. They were very open-minded and we could always have a good conversation. I once had an interesting talk with one of my Muslim students and he said to me: ”The problem with Christianity is that there is no Justice in it. You Christians say: please forgive me dear Jesus and then you just continue. That is not justice!” In Islam it’s different. If you do something bad, for example if you steal, you lose your hand. If you steal again you get the other hand cut off. So you see there is always Justice. (At least in the strictest Sharia law). That’s why he could not accept Christianity. I said to him then that that was a false understanding of Christianity, because we find in Christianity 100% mercy and 100% justice. God has a law and demands absolute obedience. But if there is a situation that we transgressed that law then He offers us grace. Firstly, because He paid the price for us and secondly, because He expects us to die in Him and that we become immune or dead against sin and thus stop sinning. So we do find justice in Christianity. The only problem is that false Christianity has set aside the law and lost the relationhip between justice and mercy. As a result, we had some good conversations on this topic. Q: It is truly remarkable that people outside Christianity realize the problems within Christianity. Many people are so radically intimidated by Islam that they are not brave enough to criticize the wrongs in it. For example we hear about the Sharia Law, blood revenge, and holy war. Are these extremist sthat have nothing to do with Islam or are the roots in the religion itself? The roots absolutely lie in the religion! If you read the Qu'ran you’ll see so clearly that Sharia Law is absolutely duty. And because Islam is a theocracy and not a democracy, Sharia is a must. Even in the Western world, were Islam is not in the majority, they practice their Sharia rights in their groups of gatherings. Of course with limits, not exactly the way described in the Qu'ran, like with the cutting off of the hand for stealing…, But Sharia is part of the faith. The Archbishop of Canterbury said that Sharia Law needs to be instituted in the English law as there are so many Muslims in that area. i There was strong opposition from the Christians but that seems to be the goal. There is no question that Sharia Law is part of Muslim beliefs, we see it very clearly in the Qu'ran. Also the extermination of the unbeliever is a high honor for them. The war against extremisim that we see going on in the world today is actually intended to fight against everything that does not fit within the global ecumenism. Anyone that defends a religious standard has to be eliminated. Currently they fight against the “Extremist” in Islam and by necessity certain aspects of the Qu'ran as well. But those Moslems that don’t see their faith so narrowly and see it more as lectio divina instead of some dogmatic rules of a faith can live pretty well with the secular version of Islam. And I believe that that’s where this whole thing is headed. If everything is secularized, then that includes the Christian faith as well. And then all those ones that do not want to pull with the mainstream or with ecumenism, they will be seen as stubborn and as fanatical xundamentalists. Because a Christian that takes the Bible as it reads, he keeps the laws of God and not of society which come from the Catholic Church. A true Christian that takes the Bible as it reads cannot be in harmony with religions amd institutions of this world that deny Christ, because the Bible tells us that we can only serve one God. Not two or three or 24. The end result is the expectation that Christians must give up their adherence to the literal teachings of the Bible in order to be capable of ecumenism. The same thing applies to the Qu'ran. If we want to have peace and security then they have to stop adhering to the literal teachings of the Qu'ran and put them aside so that all can live in Society as a whole. So what applies for the Moslems will also apply to the Christian world. It will come to the point of what does the Bible say on the Sabbath/Sunday question versus what does Society say. Humanity has to have the last say in the matter. Q: In the war against “fundamentalism” which discards absolute truths, no matter the religion, is the goal to clear the way for global ecumenism? Q:Why, in the last several years, do we constantly hear about radical Islam in the headlines? Is it a Biblical prophecy? Or is there a different agenda behind it? My opinion on this is that it’s part of the new world order. It is de-radicalization of all religions. And because Islam is so radical, for example how they deal with unbelievers, it is the perfect instrument to exemplify to the whole world how disgusting extremism is. And when we come to the point that extremism has that bad self-image, then you can hang it on anyone or on anything. And let’s not forget that this religion has more than 1.5 billion people, and if that can be won, then anything can be won. Q: Some Adventists today are very uncertain how they should see Mohammed. Was he a prophet or was he not a prophet? You shall know them by their fruits. Let’s take a simple contrast between Christ and Muhammad. Muhammad got rid of his enemies through war. Muhammad had several wives. Some of them were even as young as children. Muhammad had special rights that contradicted, not only the standards of the Qu'ran and of God, but also society as a whole. So if you compare that with the fruits of Jesus’ life, who didn’t come to judge the world, but to save it, who gave His own life so that others can live, who only did good constantly, who kept God’s laws without any exceptions, and who was sinless, these two men are in total contrast. So if somebody asked me if Muhammad was a prophet in a Biblical sense, then you just have to look at his fruits and you should know the answer. Q: What role does Abraham’s son Ishmael have in the Qu'ran? The Qu'ran is a total confusion. What that story entails is that Ishmael, and not Isaac, is the one that is sacrificed in the story we’re familiar with. Later on, so it is said that Abraham and Ishmael build the city Mecca for a place of worship. 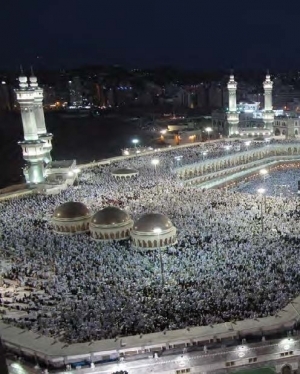 According to the Qu'ran, the mountain of sacrifice is also found in Mecca. Quite different than what’s described in the Bible. The Dome of the Rock on the temple mount in Jerusalem has nothing to do with the sacrifice of Abraham. That’s the spot where Muhammad supposedly went up to heaven. That’s why that spot is so holy. Abraham and Ishmael were also the founders of Islam And the builders of Mecca. We find nothing of such in the Bible because it was Abraham’s son Isaac that was sacrificed. Q: How did Ellen White and the pioneers look at Islam? Q: In what way do Adventists offer to reach the Islamic religion? Well let’s remember I mentioned those two Adventists that approached me that said that we have so much in common with Islam. [see Part 1 in Winter 2015 edition or online] In a way, they are right. Because there are similarities. For instance, Adventists don’t drink alcohol, and they don’t eat pork. But those are only little similarities, not really compared to the teachings of the Bible. Perhaps you can even make a connection with the statement in the Qu'ran about “the people of the book”. But even there Muslims have a misconception. Or let’s take for instance the second coming of Jesus. Muslims wait for it too, but out of a completely different motive. From my own experience I can simply say that Muslims have a huge amount of hatred towards Christianity. They despise Christians because of all the wars, the Crusades, and the whole history. Whenver I hear from Muslims, “the Christians did that, and Christians do this”… I always answer, that that was not true Christianity, that was Catholicism. That would, of course, get some of the dear brothers in the theological circles upset. But it works. Q: And is that the truth? Yes, it is the truth. And then they don’t have any way to get around that, and you can ask: What does the Bible say to that? And now you have an opportunity to go to the Antichrist and you make comparisons. This gives you an opportunity for discussion of a whole new palette of topics, including prophecy, that we don’t find at all in the Qu'ran. With prophecy, the validity of the Bible grows. And if there is historic contradiction that come up in the Qu'ran, then it establishes the Bible even more. Then of course, you have the plan of salvation. It’s not even mentioned in the Qu'ran. Or the equality of men and women. And if people realize the mercy and goodness of God in the Bible in contrast to the vengeful god who tortures people and punishes them in the Qu'ran, then their love towards the real God of the Bible grows even more. So I actually evangelize Muslims in a whole different way. Q: Should we use the Qu'ran to reach Muslims, as we are often encouraged to do? I have never used it. One of my Moslem students became a Christian, and an Adventist, but years later. The Muslims always came to me and asked me, why are you not the same like the other Christians? Why are you so different? They had respect, that I was standing for the things I believe in despite all the opposition. And of course, also, because I believe in the 10 commandments and the Sabbath. I was never willing to go to a graduation on a Sabbath. As a professor, I should have been part of it, but most graduations were on Friday evening. And so I had to explain myself and say that I couldn’t, unfortunately, come. And I would suggest if they wanted me that badly, they could do it on Wednesday or Thursday, or whenever besides Sabbath, I’d be there. But not on Friday evening. And the Muslims always wanted to know why. Why do you do that? You’re a Christian, you’re not a Jew. These are good ways to reach out. Just by example. Thank you, Walter Veith, for the discussion. Translated from the German and modified for text.